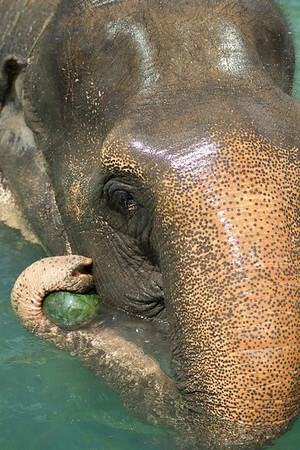 Sombo, a female Asian elephant, was rescued by EARS in 2011 from more than 20 years of tourist work surrounded by traffic in the middle of Phnom Pehn, Cambodia. Kiri and Seila, in the South of Cambodia, are also cared for by EARS. All print proceeds go to EARS to directly help Sombo and her elephant friends around Asia.